Lolesports has just unveiled the name of the winner of the MVP award in the League of Legends European Championship (LEC). Rasmus ” Caps ” Winther manages to retain the title that labels him as the best player in the league for the second consecutive time. So much has changed in the past few months as LCS switched to LEC which included so many new transfers. Caps has maintained his exceptional Fnatic form and won the MVP title. His signing for the team of Carlos “Ocelote” Rodríguez was quite shocking to hear since Caps made it to the grand finale of Worlds 2018 with Fnatic. 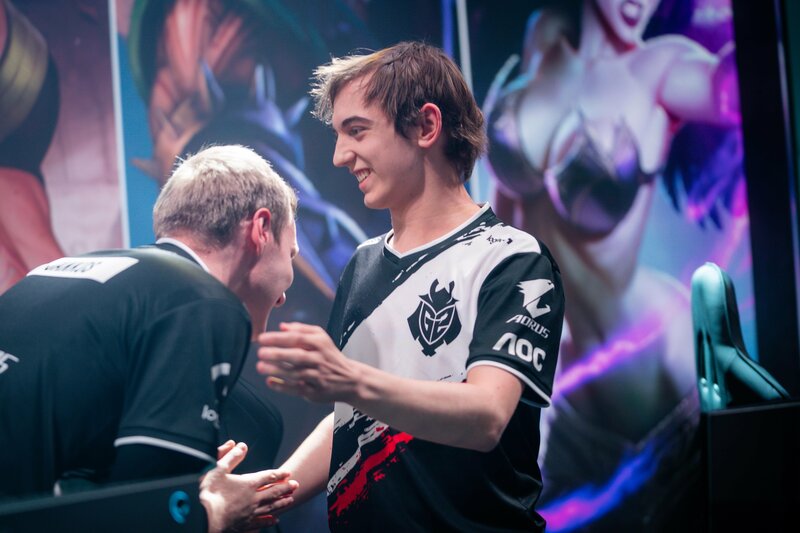 Yet, the move did take place, while it was not clear if G2 could work with him in the mid lane since Luka “Perkz” Perkovic will have to switch his role from mid laner to ADC. It turns out that in the end it worked perfectly since the samurai is in the finals and Caps is the MVP of the competition. For the occasion, lolesports has made a video tribute for the Danish player. The video includes several of his most impressive moments of the season. Akali, Irelia, LeBlanc, Sylas and Zoe are the champions that star in this audiovisual piece. This indicates the versatility of a Caps who has used a total of 14 champions in the 21 matches played. Although the numbers and individual statistics in League of Legends depend so much on the metagame and patches that the competition includes, Caps has achieved a 4 of KDA, while his damage per minute is 550. There are some players who surpass him in the first statistic. Yet in the 2nd person that comes close to Caps is his teammate Perkz. This just shows how difficult it is to play against the mid laner. The most striking data of Caps are the 12 solo kills achieved, which are well above the 2nd ranked Cabochard and Nukeduck who hold 8 kills each. Today, on Sunday, April 14, Caps will have the opportunity to justify his second consecutive MVP by possibly winning the European League of Legends. Today Origen and Fnatic will fight for the right to compete against the Danish MVP and G2 Esports.